For this months blog post I have asked Judith Hill our Bereavement care co-ordinator to explore the first stage of the grieving process. 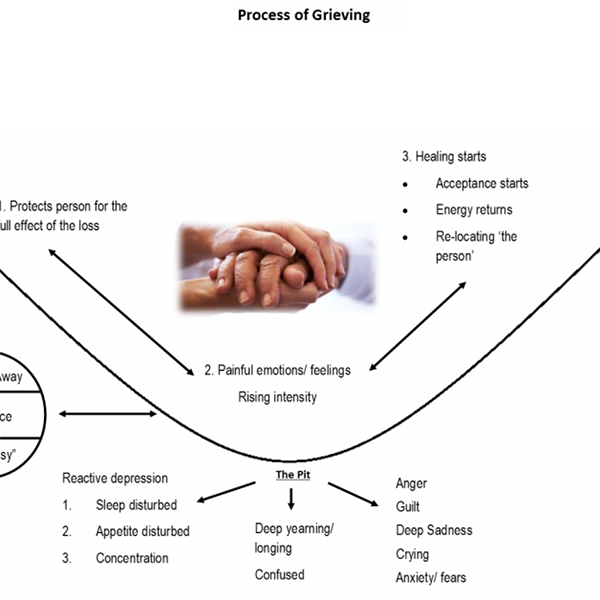 I use a diagram with my clients to show the different stages of grief. This describes 3 stages of grief, with a start, onward journey and a place of resolution. The start of our journey will begin at the top of the left hand side of the half circle. 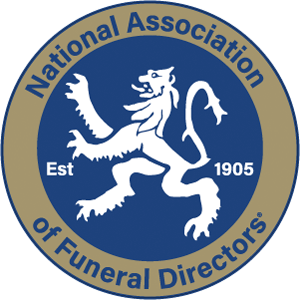 Preparatory or Anticipatory Grief – Before the person passes away. This part of a grieving process is sometimes experienced when the person who dies is suffering a long or drawn out illness, or when it comes to light that the person cannot be cured, and are declared to be suffering a “terminal” illness. People who love them will feel very painful feelings, beginning with shock and the anticipation of what might come. As time progresses, certain changes may take place, for example, weight loss, or weight gain because of medication, hair loss because of treatments, change in colour, change in strength and mobility, change in personality and change in mental ability. This can often promote grieving for what is being lost before your eyes, and often experienced when you are the care giver. Also pondering on how life will be without them and the changes that will come to the bereaved person’s life. The Death occurs – which causes Stage one to begin. Irrespective of whether the death was expected or sudden, perhaps in an accident or sudden medical crisis, the first stage of any loss will be SHOCK. Other feelings will accompany this, and expressed here, for example, phrases are often used as follows: Numbness, Frozen, Robotic, Stunned, Traumatised, Relieved, Released and Disbelief. The overall effect of this first stage does have a purpose. The bereaved person will, to some extent, be protected from the full effects of the loss. This period can be thought of as a very “unreal” place and someone once said it felt like being in “La la land”. 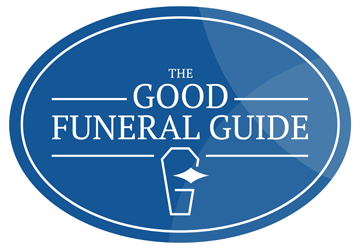 It does enable the grieving person to function at a basic level which is needed to sort out funeral arrangements, financial and some administrative matters which need attention. All of which come exactly at the wrong time. Support from trusted family members or friends is very helpful at this time. On the diagram, we are currently half way down the left hand side of the half circle.